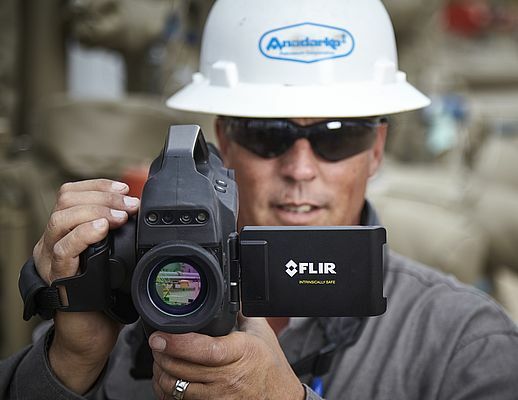 FLIR Systems has announced the FLIR GFx320, an optical gas imaging (OGI) camera for the oil and gas industry that is designed for use in potentially explosive atmospheres. The FLIR GFx320 detects and visualizes invisible hydrocarbon gas emissions, such as methane, and common volatile organic compounds (VOCs) found at oil and natural gas facilities. It carries certifications to global standards and is recognized as Intrinsically Safe, explosion-protected equipment by the International Electrotechnical Commission.